Nike Inc. (NYSE: NKE) shares recouped their losses on Monday after the last selling off in the wake of a controversial advertising campaign, featuring former San Francisco 49ers quarterback, Colin Kaepernick. The campaign, revealed last Tuesday to celebrate the 30th anniversary of “Just Do it,” sparked immediate strong responses both in support and protest. 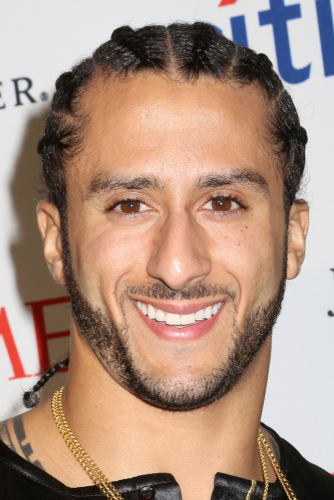 Kaepernick has been a polarizing figure in the sports universe ever since he decided not to stand for the national anthem during a 2016 NFL preseason football game to protest racial injustice. Despite the 3% hit Nike took to its stock, its online sales jumped after announcing the campaign. Between Sunday and Wednesday of Labor Day weekend, product orders rose 27%, according to Edison Trends, a digital-commerce researcher. In the same period last year, product orders fell 2%. “There was speculation that the Nike/Kaepernick campaign would lead to a drop in sales, but our data over the last week does not support that theory,” Hetal Pandya, Co-Founder of Edison Trends, said. While industry analysts say the move by Nike is risky, others say risky moves are necessary to stay relevant and stay ahead. Nike’s new ad comes during a time when customers are looking for brands to be more socially conscious, so it is possible that this bump in sales comes from customers seeking to support Kaepernick’s cause. The Company said the campaign will also include other athletes such as Serena Williams, LeBron James, Lacey Baker, Shaquem Griffin and Odell Beckham Jr.
Nike is set to report quarterly earnings later this month. Its shares have climbed about 31% so far this year.